Are Deer on Staten Island Pests? There’s often a thin line between local wildlife and pests. Once they begin to encroach on your property and affect your daily life, they can be classified as pests. 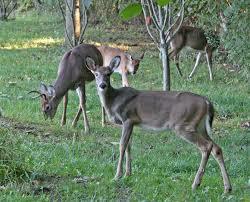 Deer on Staten Island have been growing in numbers since Hurricane Sandy. When do we officially have to consider them pests? They’re pretty to look at, but we have to consider the dangers that come along with a high deer population in an urban area like Staten Island. This one happened in New Jersey, but it is a good indication of the danger of deer. In Staten Island, roadkill along the side of the road is more and more common. When you hit a deer with your car, you and other drivers on the road at the time are in serious danger. They can do serious damage to the car and injure drivers and passengers. People have even been killed in collisions with deer. Are we doing population control? The good news is that we are attempting to control the population. As a matter of fact, after years of uncontrolled mating and reproduction, The Staten Island deer population has gone down by about 8%. Vasectomies for male deer in Staten Island has been going on since as early as 2016. This involves laying traps, tranquilizing bucks with darts, and having vets perform a surgery to neuter the deer. They’re tagged, and released back out into the “wilds” of Staten Island. Still, the population is considered too large. Rounds of vasectomies will continue until they are able to get deer into a healthy, safe range for a borough of New York City.